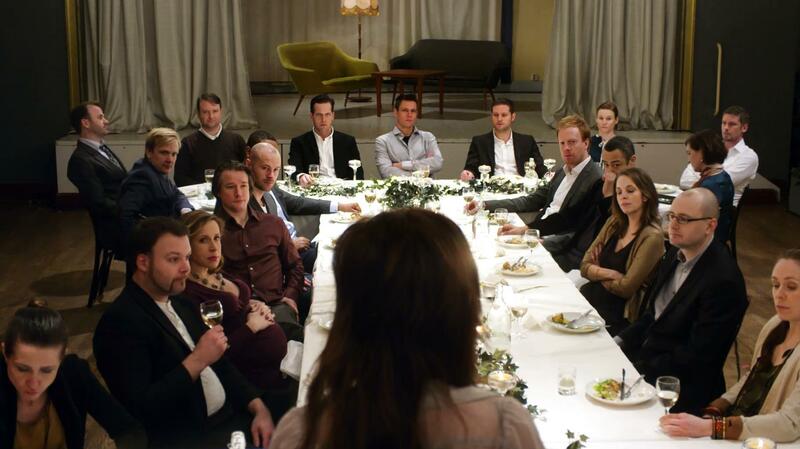 The Reunion is the directorial debut of the renowned Swedish artist Anna Odell with autobiographical elements. The director, noting that she wants to reveal the true nature of the Swedish society based on her own experiences, successfully undertakes the challenging roles of the screenwriter and the lead, too. The inspiration for the film apparently came after Anna Odell’s high school classmates didn’t invite her to alumni reunion. She then decided to interpret her experience through her art, which in turn gives birth to an experience where fiction and reality melts into one another and creates a film inside another film. Återträffen consists of two parts. In the first part, we watch Anna Odell at the same reunion that she couldn’t go to because she was not invited. In this reunion turned “confrontation,” quiet and even almost invisible Anna starts to throw the truth up to her classmates of nine years. When they try to silence her, Anna takes this challenge and stands her ground to share her thought out, planned, and rehearsed comments. And her friends, who are disturbed by hearing how they bullied her and finding out the hierarchy between them, do not hesitate to bully her again in order to avoid this confrontation. However, with the second part of the film, the director begins to confound the viewer. Is this all real, or is it fiction? She makes her friends who didn’t invite her to the alumni reunion watch this fake “reunion” film that she has shot. The confrontation becomes harsher and harsher, and the director turns this encounter that she maybe really wanted to happen into a type of revenge. The director, who posits that fiction might be used as a tool to investigate the truth, reveals that her actual intention is exactly this in the second part of the movie. Anna Odell, who has won the Best Film and Best Screenplay at Sweden’s most prestigious film awards ceremony Guldbagge and thus added the director badge to her artist sash, had also competed for the Golden Tulip of Istanbul Film Festival in 2013. We are curious if the director who has created a film that you will watch with baited breath from start to finish will continue with this profession and hope that you enjoy this film, too.